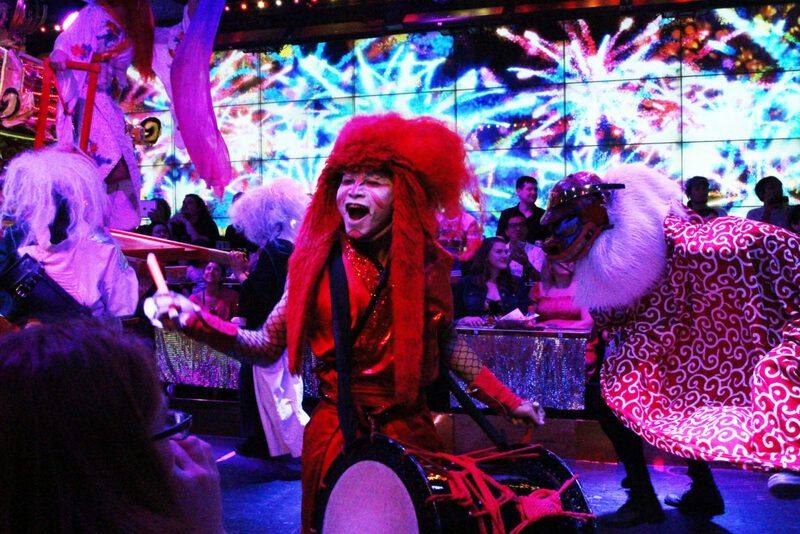 In the heart of Shinjuku, you'll find Tokyo's Robot Restaurant. It's not hard to miss. In fact it has one of the biggest glaring neon signs in the area, not to mention the two giant robots outside. This really is something that I can only describe as being utterly mad. It pretty summed up all of my experiences of Tokyo into one. Think of the most glitter, bright lights, and totally weird things you can imagine (hello golden snail chairs!) and times it by ten. Quite honestly, nothing will ever prepare you for what you're going to experience when you step inside! You start the show by collecting your tickets if you've reserved them online (recommended) or by paying on the night across the road. 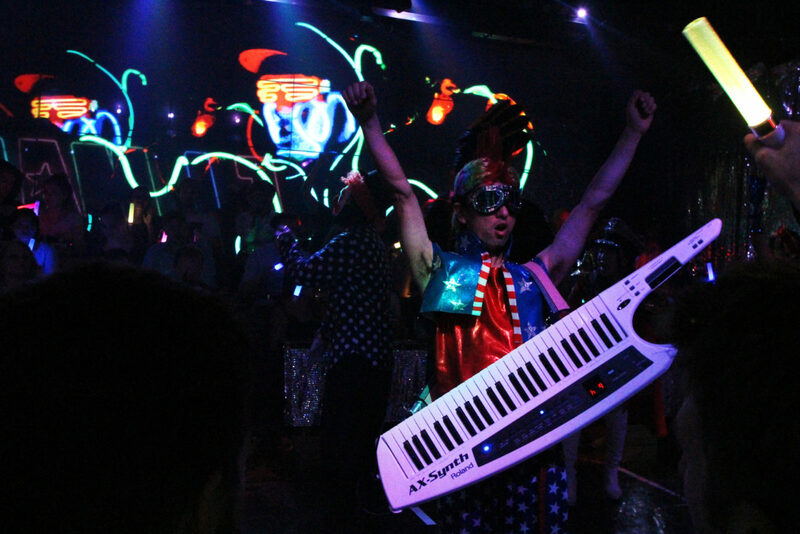 From here you'll be escorted into the Robot Restaurant. 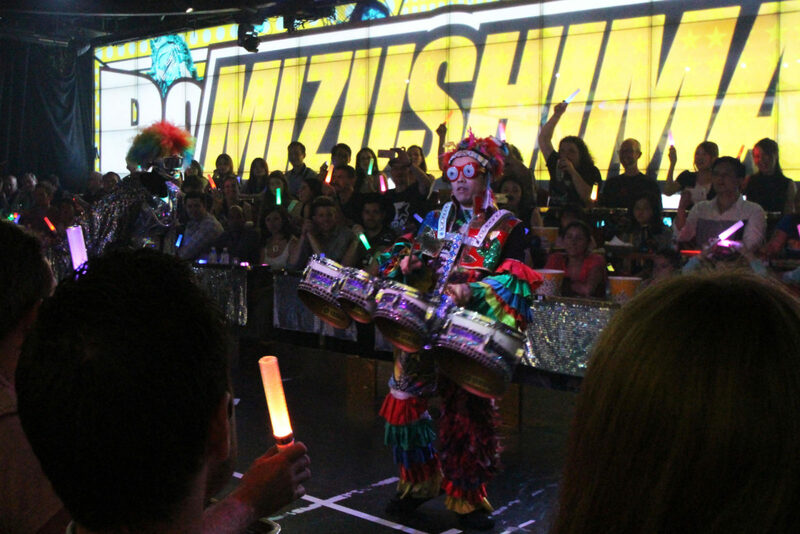 Down winding corridors of bright neon lights and glitter adorned interiors, you'll make it to the bar waiting area. There is a chance to get food at the show, but it's not great, and terribly overpriced. Skip the food and find an authentic Japanese later on, or before the show and save yourself any disappointment. 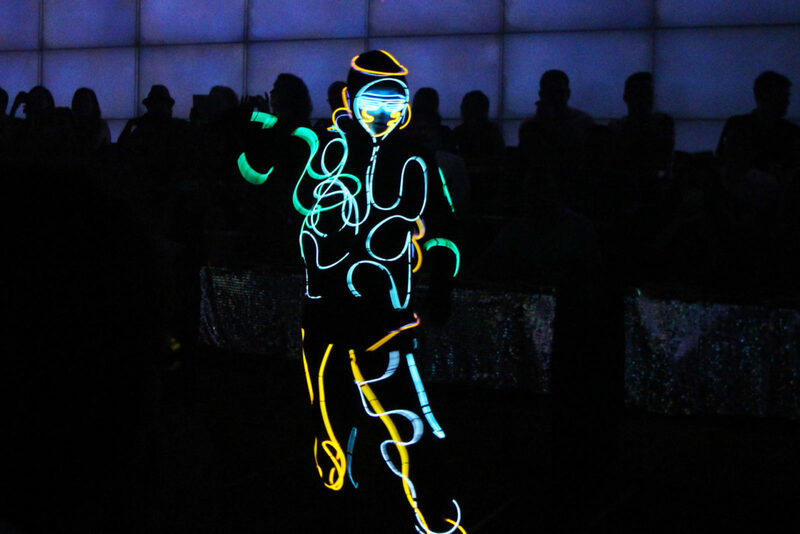 The show stops frequently, every 15 minutes or so for breaks, here you can have a chance to buy drinks and snacks. With the breaks the actual show time equates to more like 40 minutes than it does an hour. For something that costs 8000 yen (roughly £55) you have to be prepared to take a financial hit. This is Tokyo after all, most things are expensive so it has to be taken into consideration. 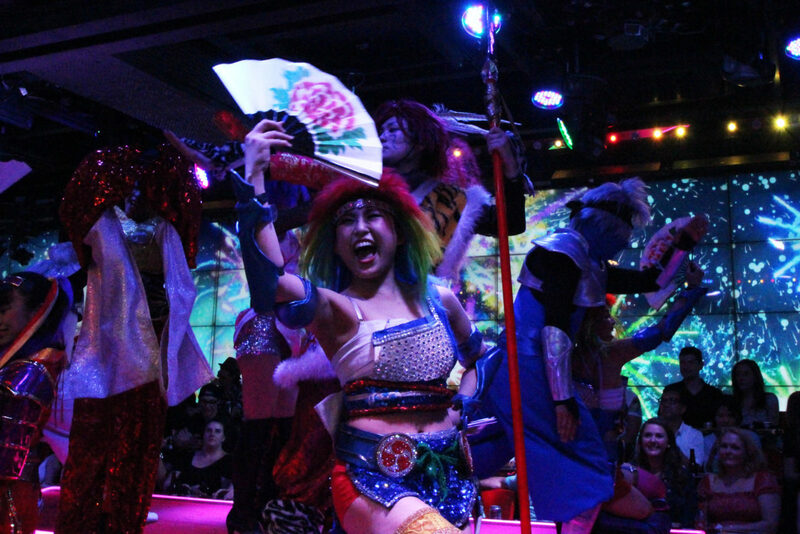 It's all part of the experience, and the Robot Restaurant definitely promises that. Be sure to enter with an open mind, it is very much a tourist trap, and baring that in mind you'll generally find it full of Western tourists. 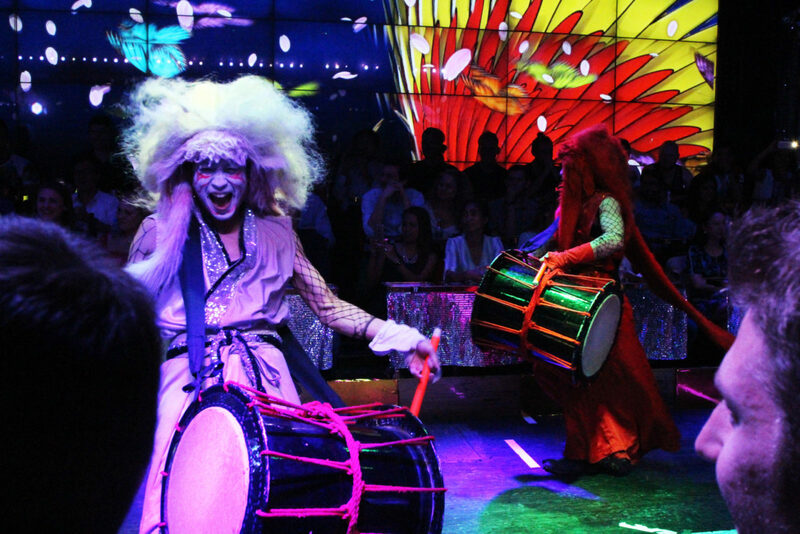 The show and venue itself was a sensory overload, and definitely a sight to behold! 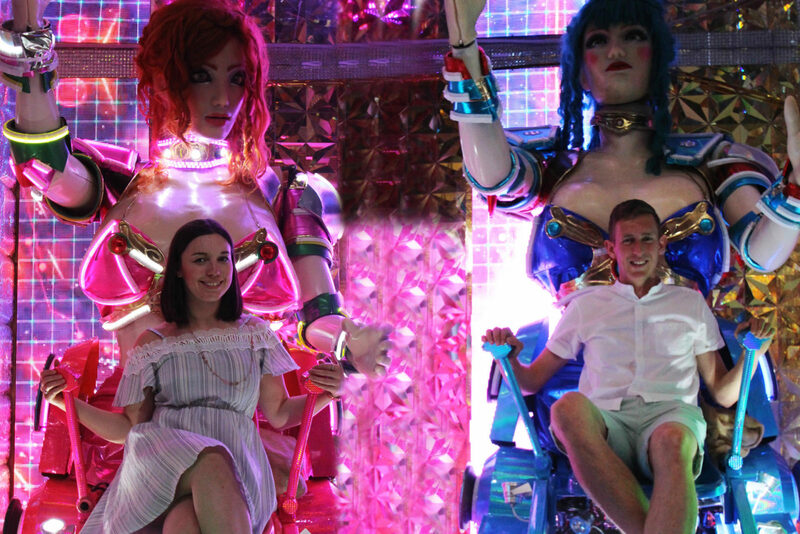 You'll read many mixed reviews for the Robot Restaurant, and although it perhaps didn't feel totally worth it for the price we paid, it was definitely an experience; and one I can only urge you to go and try out yourself if you're ever in Tokyo, there's nothing quite like it.